From fuzzy growth on foods left out a bit too long to unsightly black spots on the siding of your house, we all have issues with mold. What is mold though? How does it grow and why? What happens to the surfaces mold grows on? When does this nuisance turn into a hazard? Read on to discover the answers to some of your biggest questions on mold. The word ‘mold’ refers to fungi which grow in the form of multicellular strands known as hyphae. 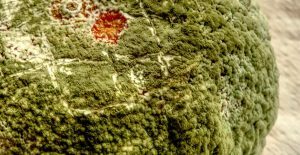 Mold grows on any dead organic matter in nature but is only visible to the human eye when it forms a large colony, called a mycelium. 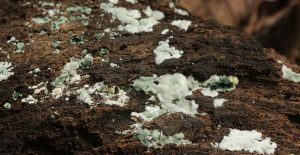 Unlike colonies of ants or termites, a mycelium is not made up of multiple individual organisms. It instead consists of an interconnected network of hyphae, all part of the same organism. Mold reproduces via the production of small spores. These spores can be compared to the seeds of a plant, though they are much smaller than seeds or even pollen grains. Their small size makes them easy to disperse via wind and water. They can also travel long distances by clinging on to clothing or fur. Mold spores can survive environments that don’t support normal mold growth. They will only start to grow once they land in an environment with suitable water, food, temperature, and oxygen. Unlike plants’ use of photosynthesis to harness energy, molds (and all fungi) rely on organic matter to provide energy. Mold grows on the materials it can digest. These substances are broken down into simple, easy to absorb substances by the secretion of digestive enzymes. This process provides the required ‘food’ for the mold. Mold requires water, food, and oxygen to grow. It also requires an environment with a temperature it can survive. 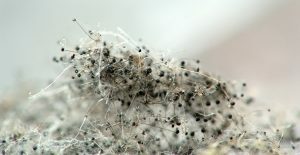 While mold cannot spread without these conditions, its spores may survive in a dormant state until conditions are suitable. Temperature: Most molds cannot grow below 40° F. This is why food is typically refrigerated at 39° F. Mold grows best between 77° F and 86° F, especially if the air is humid. 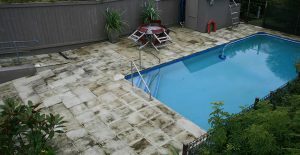 Water: Molds thrive in damp, humid, and wet conditions. 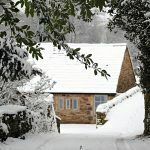 They require water to grow and spread, which is why it is recommended to keep homes – especially walls and carpets – as dry as possible. Water leaks, flooding, high humidity, and condensation all provide moisture mold can use to grow and spread. Oxygen: Molds are obligate aerobes. This means that they need oxygen to survive. Mold grows even at very low concentrations of oxygen, however, which makes it difficult to fight mold growth by limiting oxygen. Food: Mold grows on materials that it can digest – and it can digest a lot. 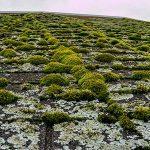 It can metabolize virtually any organic (carbon-containing) matter in nature, making it impossible to remove all food sources of mold from your environment. What can mold grow on? Mold grows on materials it can digest and use to spread. Consequently, it may grow on any organic material. Substances from wood and paper products to dust containing dead skin cells provide organic ‘food’ for mold. Mold grows on and digests some synthetic materials like paints, adhesives, and textiles as well. Mold is unable to digest inorganic materials (such as concrete, glass, and metal), but it can digest and grow on the dirt, dust, and organic residue that accumulates on them. How does mold affect the surfaces it grows on? Since mold eats the materials it grows on, those materials end up damaged or degraded. Unchecked mold can cause cosmetic damage and staining, unpleasant odors, and even the structural degradation of the surfaces. Mold digests the carbon in the surface it is growing on. While doing this, it breaks down the material bit by bit. The digestive enzymes eventually destroy the material, and the mold grows and spreads further to consume energy from more material. It’s important to identify the cause of any mold on your property and remove and remediate the mold as soon as possible. 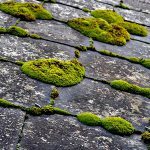 What types of mold are there on exterior surfaces? It’s rarely necessary to identify the type of mold to remove it, but some molds are more common than others. Some of the most common molds are listed below. The exterior surfaces they are commonly found on are also identified. Aspergillus: Aspergillus is one of the most common molds. You can find its spores virtually everywhere – from Antarctic soil and the interior of spacecraft to homes throughout the USA. Found both inside and outside homes, this mold often grows on painted surfaces, wood, many types of paneling, painted masonry (including brick and masonry block), and poured concrete foundations. 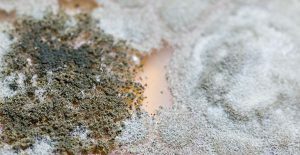 Penicillium: Another common type of mold, Penicillium also thrives both inside and outside of the home. It commonly infests vinyl, paneling, wood, painted masonry, and poured concrete foundations. Cladosporium: This mold is one of the most common types of mold found on external surfaces of buildings. Cladosporium may colonize vinyl siding, glass surfaces, windows, many types of wood, and paneling. 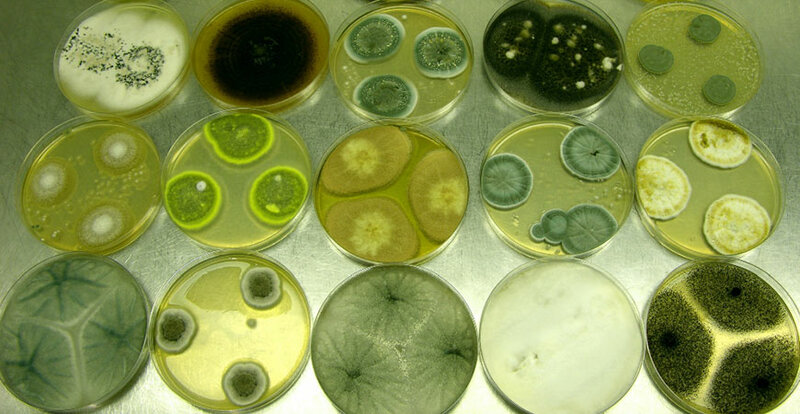 Trichoderma: Trichoderma is less common than the first three types of mold. Its infrequency is in part because it requires more moisture than the others. This mold grows on untreated lumber, pine wood and boards, decaying wood, and textiles. No matter what mold is on your exterior surfaces, it’s important to remove it swiftly and thoroughly. This will reduce damage to the materials and structures that mold grows on. 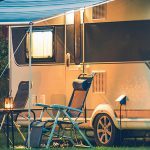 Outdoor mold can be easily taken care of with Wet & Forget Outdoor – an easy, gentle, and bleach-free mold remover that is safe for virtually any outdoor surface. How does mold harm your health? Aside from the damage mold causes on surfaces, there are health risks associated with exposure to mold ranging from mild to severe. These include the onset of fungal allergy, respiratory infections, and the worsening of illnesses like asthma. Mold exposure doesn’t always cause health problems, but many people are sensitive to mold. These people may experience “hay-fever like allergic symptoms” according to the Center for Disease Control and Prevention. They note that while most cases of mold exposure don’t result in severe health problems, people with compromised immune systems face a higher risk of infection from molds. Individuals with chronic respiratory disease may also experience difficulty breathing as a result of mold exposure. As exposure to mold poses a health risk to individuals with and without prior health issues, the CDC recommends a “common-sense approach” to mold contamination. They suggest thoroughly removing any mold that can be seen or smelled. If you have indoor mold, don’t let it damage your home or health – pick up a bottle of Wet & Forget Indoor to keep your home healthy and safe. For more information on mold, its growth, and its remediation, check out this guide by the Environmental Protection Agency.